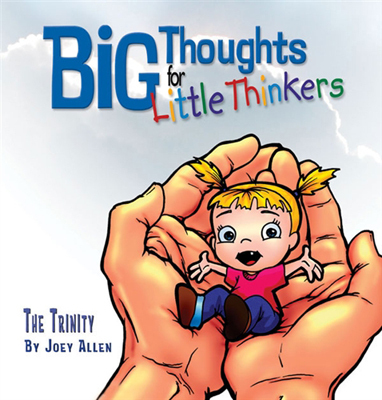 The Big Thoughts for Little Thinkers series introduces children ages four to eight to the fundamental teachings about God based on the Bible. The most foundational teachings of the Christian faith are presented in this four-book set at a level preschool and elementary children can understand. Colorful illustrations complement every page of orthodox Christian doctrine, creating an enjoyable learning experience for the child. In contrast to self-centered theology and watered-down Bible storybooks, the Big Thoughts for Little Thinkers series promotes God-centered theology with simple and precise teaching while offering stability and a strong, lasting connection with the faith. The Trinity promotes the doctrine that there is one God who exists in three persons — Father, Son, and Holy Spirit. This teaching is foundational for a child’s understanding of God; a fact about the Trinity is presented on each page, leading the child to a stronger faith. Defeating Darwinism by Opening Minds In the Beginning... We Misunderstood: Interpreting Genesis 1 in Its Original Context I Don't Have Enough Faith to Be an Atheist The Old Testament Documents: Are They Reliable and Relevant?